Chene grew up in Somerset West, matriculated at Parel Valley High school and obtained her LL. B degree from the University of Free State in 2015. 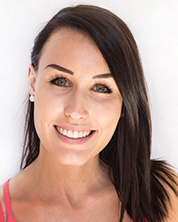 She joined a law firm in Somerset West where she gained invaluable experience in family law and civil litigation. Determined to pursue a career in Conveyancing, she completed her articles here at MM. Chene was admitted as an attorney in 2018. Apart from being an animal lover, she loves swimming, Ballroom and Latin dancing.